There are a lot of good games coming up this year. Maybe not as many as last year admittedly where we had massive hits like BioShock and The Orange Box and Mass Effect, all of which managed to make it into our Top Ten Game of 2007, but big nonetheless. So, we’ve scrawled down this tidy little guide to the best games coming out in the madness of the pre-Christmas rush. We’d love to say that this article is for you – that we’ve lovingly created this article so you can be fully prepared to spend your hard earned cash, but that would be a lie. The truth is that Joe is just awful at remembering release dates, so hopefully this should help keep him on track. Zombies. We always enjoy starting our day with zombies and, when Left4Dead finally launches, we’ll enjoy it even more. More importantly, we’ll be able to enjoy it all together in this four-player co-operative shooter from the makers of Half-Life. Left4Dead is a game built on a simple premise – there zombies of the fast-moving, angry and occasionally exploding variety on the loose and you and your three pals have got to make it to safety. You’re loaded to the teeth and you’re allies are all real humans, not awful AI bots, so you stand a good chance, right? Wrong, because Valve is using a new technology called the AI Director to make sure that no two matches are the same. The Director will watch how you move, how you shoot and how fast you are progressing before changing the position and number of zombies to make the game uniquely suited to your playing styles. Built on Valve’s source engine, Left4Dead isn’t the most technically stunning game in this list, but it is the most familiar. Combine that familiarity with a massive community of modders and map-makers and Left4Dead starts looking to be long-lasting and hugely appealing game. Why we can’t wait: Zombies are awesome, pure and simple. Want to know more? 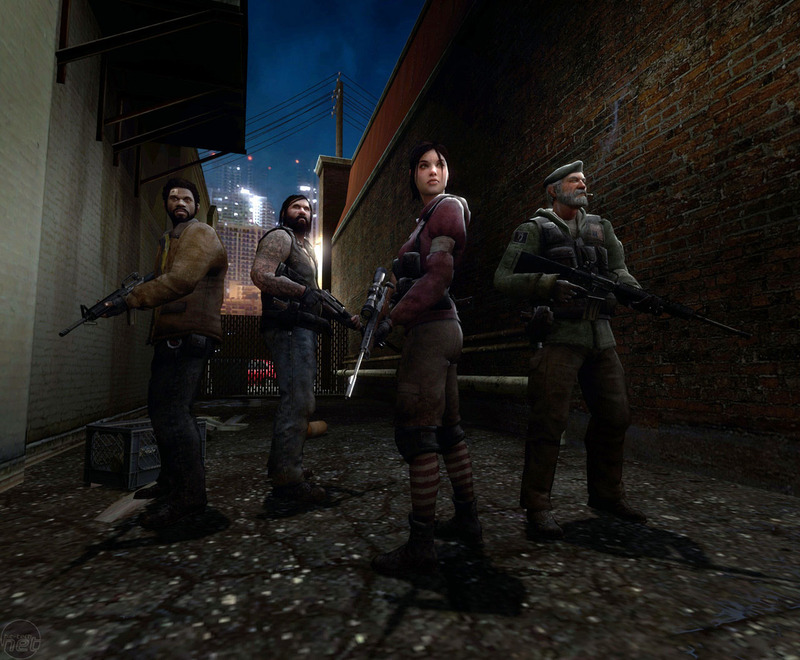 Check out our Hands-on Left4Dead Preview. From Zombies, we jump to Aliens – albeit cartoony and cutesy ones. Spore is being hailed as one of the most ambitious games ever designed and for a good reason since it essentially allows you to create and evolve your own aliens over time. Spore is the magnum opus of Will ‘The Sims’ Wright and has been many, many years in the making. Though the game may have a kid-friendly veneer to make sure that it’s as accessible as possible, Spore is actually an incredibly well thought out game and packs some impressive technology under the hood. Where else can you create your own race of aliens from scratch, placing eyes, organs and limbs according to your whim? Where else can you take your creature and evolve it and its society from a lone lifeform to a galaxy-hopping civilisation? Nowhere else, that’s where. Yet, that’s only part of what makes Spore so fascinating. The key here is the fact that virtually everything in the game is either user or procedurally generated. When you can be sure that you’ll never play the same game twice then Spore could be the most addictive educational experience we’ve ever seen. Why we can’t wait: If you don’t know what Sporn is then we want to be there when you find out. Want to know more? 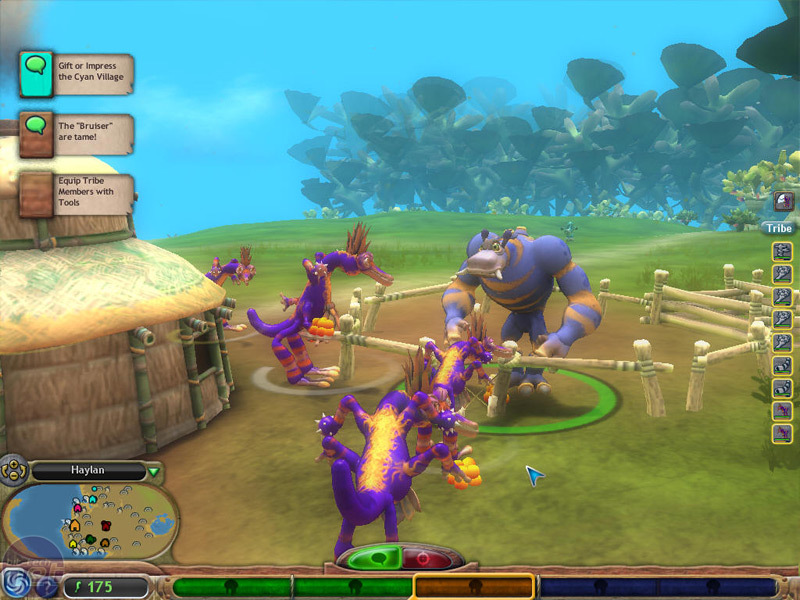 Check out our Hands-on Spore Preview. Sony and Media Molecule won't be happy this Christmas, with LittleBigPlanet not selling well in either the US or UK apparently.